Mistress Quickly, like Sir John Falstaff, appears in several of Shakespeare’s plays. She is of Falstaff’s world and provided comic relief in the same way as Falstaff. She appears in both Henry IV plays, Henry V and The Merry Wives of Windsor. In the Henry plays she is an Inn Keeper who runs the Boar’s Tavern frequented by Falstaff and his disreputable friends. Mistress Quickly has links to the criminal underworld but is preoccupied by keeping a respectable reputation. Mistress Quickly whose nickname is Nell is prone to mishearing conversations and misinterpreting them with innuendo. Her knack for double entendres let her aspirations for respectability down. Her character is most fully rounded in Henry IV Part 2 where her bawdy language let her down in pursuit of gentility. She is said to be married in Part 1 but by Part 2 she has been widowed. She is friendly with a local prostitute called Doll Tearsheet and defends her against aggressive men. Her name itself has sexual connotations – “quick lay” or “quick” was then associated with being lively which could also be interpreted sexually. In Henry IV Part 1 she takes part in a parody version of a court scene where Falstaff pretends to be King. In Henry IV Part 2 she asks for Falstaff to arrested for running up debts and for making a proposal to her. At the end of the play her and her prostitute friend Doll Tearsheet are arrested in connection with a man’s death. In , Mistress Quickly works for the Doctor Caius. She is a messenger in the play delivering notes between the characters. At the end she pretends to be the Queen of the fairies as part of a practical joke on Falstaff. Described as Nell Quickly in Henry V, she is at Falstaff’s deathbed and delivers the message that he has died to his former friends. She marries Falstaff’s ensign Ancient Pistol who was believed to be involved in the man’s death she was arrested for in Henry IV Part 2. Apart from the name being the same there are some discrepancies between the Mistress Quickly of the History plays compared to the Mistress Quickly in The Merry Wives. She is no longer an Inn Keeper in The Merry Wives and is now serving the Doctor. There is also no evidence that she already knows Falstaff. The only hint that she becomes a widow is that in Henry IV Part 2 Falstaff promises to marry her. But there is evidence that she is past childbearing age in that she is described as “pistol proof”. She has also known Falstaff for 29 years, so we know she is of a ripe age! 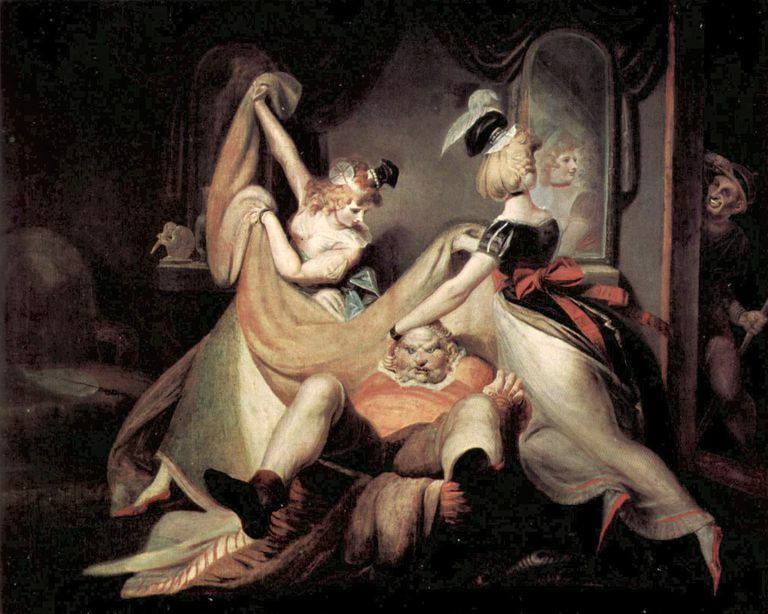 It is interesting that both Mistress Quickly and Falstaff feature in several plays suggesting that they were both very popular characters. Both these characters are flawed and have aspirations for greatness and therefore understandably appeal to the audience who would also be aspiring for better things for themselves. Tilly-fally, Sir John, ne’er tell me. Your ensign-swaggerer comes not in my doors. I was before Master Tisick the deputy the other day, and, as he said to me ‘twas no longer ago than Wedn’sday last, i’ good faith – ‘Neighbour Quickly’ says he, ‘receive those that are civil, for’, said he, ‘you are in an ill name.’ Now a said so, I can tell whereupon. ‘For’, says he, ‘ you are an honest woman, and well thought on; therefore take heed what guests you receive. ‘Receive’ says he, ‘ no swaggering companions.’ There comes none here. You would bless you to hear what he said. No, I’ll no swaggerers. Is Linda Loman a Supportive Spouse or Passive Enabler?